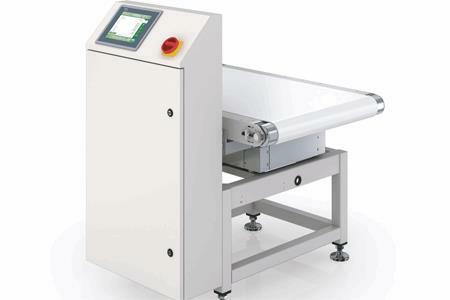 A practical addition to the ESSENTIAL series, the EC-E-SL is designed for high precision weighing of larger or heavier product formats. Whether checking individual products midway through the production process or making the final control check of the repackaged units at the end of the line before palletization, the EC-E-SL is the perfect system for both needs. A well-designed 8-inch, color touchscreen provides the operator interface to ensure easy control. Your advantage: all checkweighers and X-ray scanners installed in your lines use only one standard, interactive and intuitive, operating philosophy. The operator no longer has the inconvenient and time consuming task of switching between programs. Thanks to a variety of readily available options, the main weighing unit of the EC-E-SL can be complemented with appropriate input and output conveyors, for example, with a diverse choice of separation/ejection options that include pulse output and belt stop.